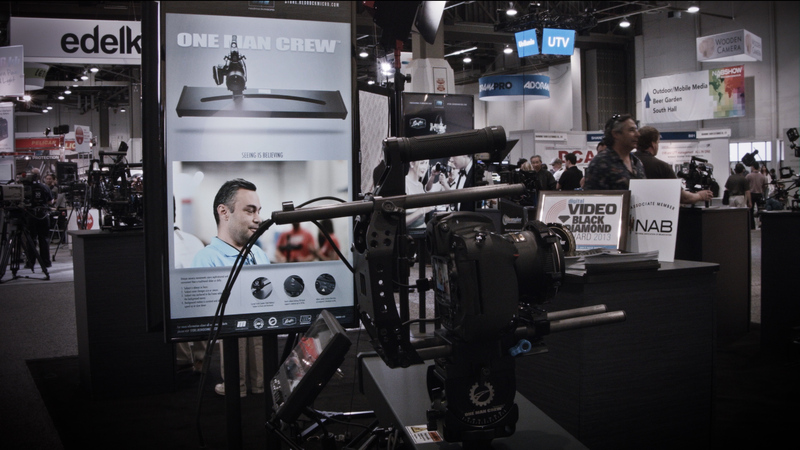 Redrock Micro’s award winning One Man Crew has become a hot ticket item for many filmmakers. So we stopped to talk with Redrock’s Brian Valente to find out what new features and updates they’ve added to the One Man Crew since it’s been released. Perfect for interview work, the One Man Crew “is the world’s only motorized parabolic motion system”. However if you’re doing an interviewon your own and you don’t want to go back and forth to the One Man Crew, then Redrock has you covered with their upcoming mobile app. The app lets you control every function of the One Man Crew, allowing you to turn its lasers on and off, start and stop, change directions and more. They’ve even included a feature that lets you turn the device vertically to access a notepad as a sort of “interview cheat sheet”. The app connects via bluetooth and the newer One Man Crew units will already include the app connectivity. You can find out more about the One Man Crew at RedrcokMicro.com, as well as visit them at this year’s Cinegear Expo in booth #30.